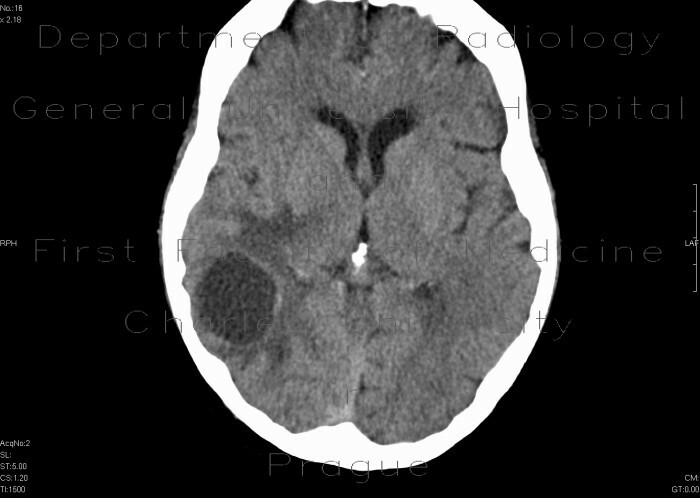 A round hypodense lesion with thin enhancing border and perifocal edema in right parietal lobe. Multiple metastases in the lungs and liver. These are from metastatic breast carcinoma.